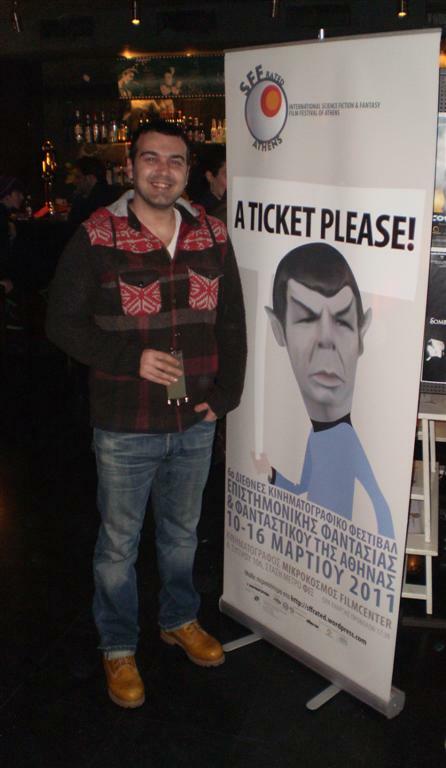 Building blocks of SFF-rated ATHENS 2011: a) The President of Science Fiction Club of Athens, and SFF-rated Art Director, Angelo Mastorakis. Our new logo. Sean Branney, director of “The Whisperer in Darkness”. 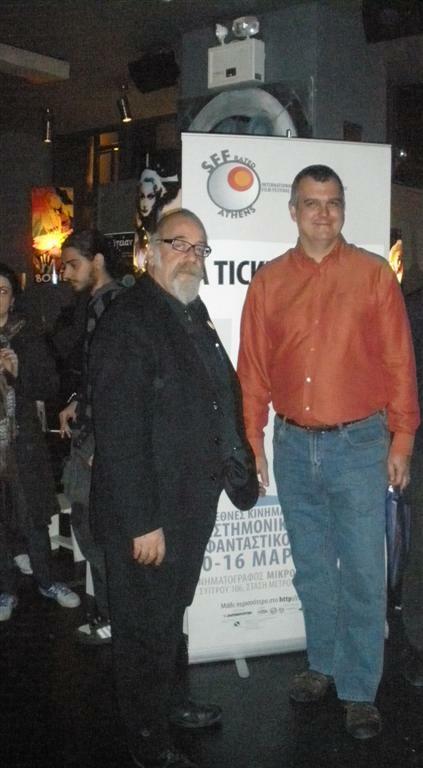 To the very left Dimitris Alexandropoulos, head of themoviescult.gr, our Official Correspondent for this year’s event. To the right: P.G.Fotos, blackmamaba-ad.com, responsible for SFF-rated ATHENS new logo and image.